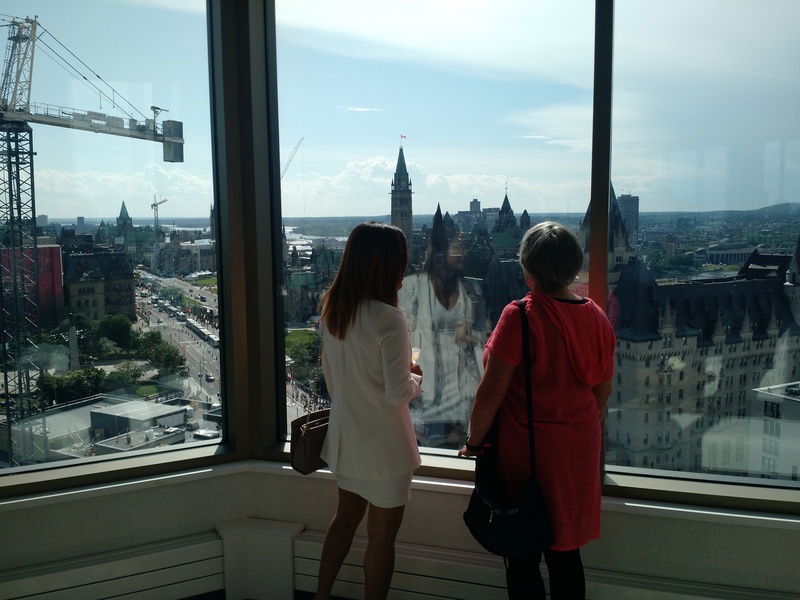 Ottawa’s largest hotel got a little bit bigger this week as renovations finished on a new glass-enclosed event space that features sightlines of the refurbished National Arts Centre, the Chateau Laurier, and Parliament Hill. 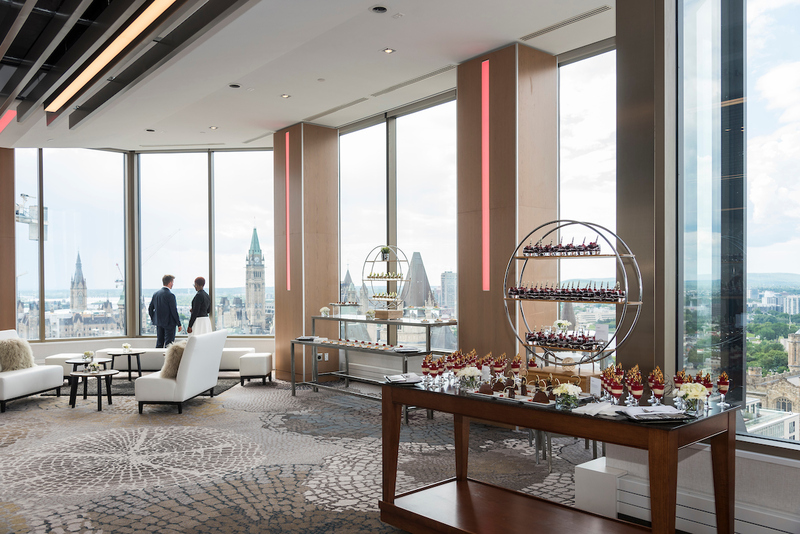 The idea of renovating space on the Westin Ottawa’s 22nd story into a grand event venue began some six years ago with former general manager John Jarvis. Once plans were set in motion, it took another five years to obtain the necessary permits and approvals from the owners, the National Capital Commission and the City of Ottawa. Construction finally began last October, and finished this past Monday. Shaddy Shibley, the Westin Ottawa’s director of sales and marketing, says the total cost of renovations were north of $3 million. 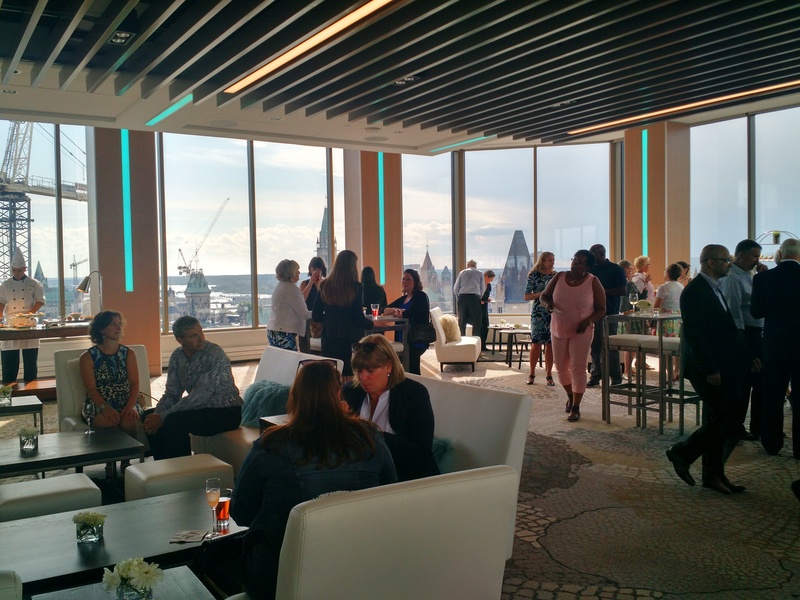 More than 150 people attended an event marking the launch of the new venue, named TwentyTwo, Wednesday night. The 3,200-square-foot space features a 270-degree view of the downtown area, with windows as high as 17 feet in some areas. Mr. Shibley says it’s common to hear a few “wows” from guests when they step inside for the first time. “The view, it’s like nothing in Ottawa,” he says. Mr. Shibley says the space is run separately from the rest of the 44,000 square feet of event space at the hotel, with a distinct menu and service staff. He anticipates the venue with host a variety of social events from weddings and dinners to diplomatic gatherings and product launches. 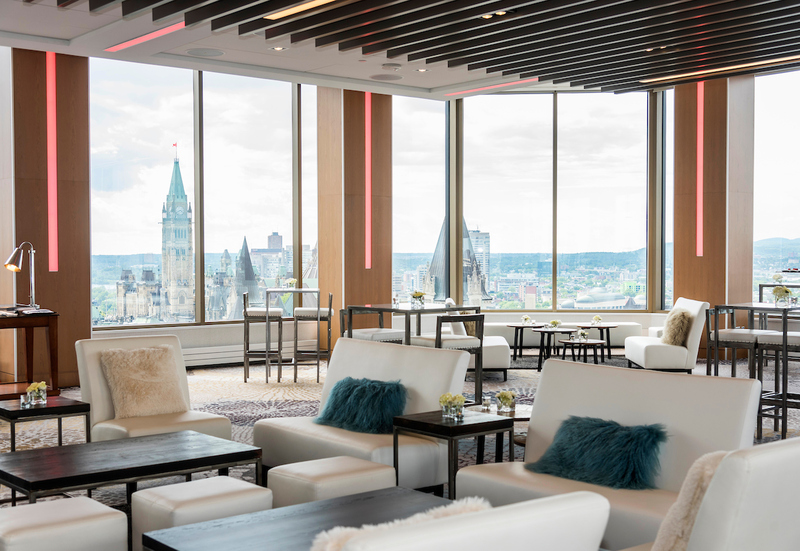 The Westin Ottawa moved under the Marriott International brand last September, as part of a $13-billion deal that saw Marriott acquire previous owners Starwood Hotels and Resorts Worldwide and become the world’s largest hotel chain in the process.